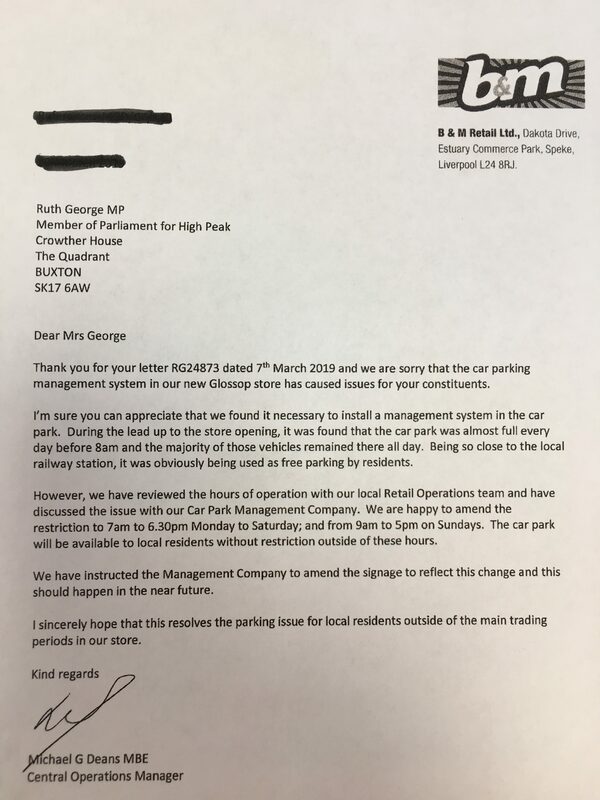 High Peak MP Ruth George has thanked B&M for lifting overnight car parking charges in response to her request. 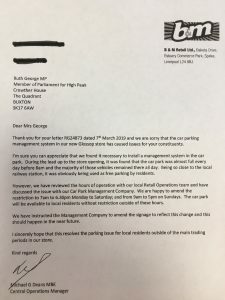 Ruth wrote to the company asking them to reconsider the decision to introduce 24/7 parking charges, after being contacted by local residents concerned about the impact the charges were having on surrounding streets and the town’s evening economy. 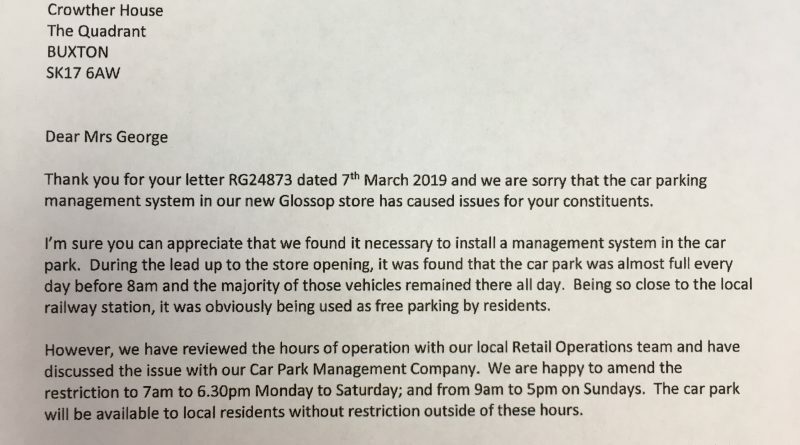 Ruth said: “Glossop has great pubs, restaurants and evening events, and residents contacted me about the lack of evening and overnight parking after B&M introduced parking restrictions and charges 24/7. 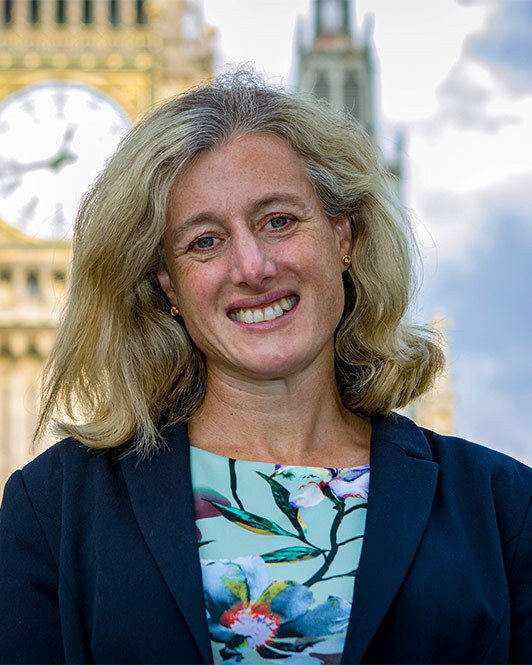 “I wrote to B&M to set out the problem and am pleased that they have agreed to remove the restrictions with immediate effect; so there are now no parking restrictions from 6.30pm to 7am Monday to Saturday and before 9am and after 5pm on Sundays. “This means that, with up to 2 hours of free parking, people can park from after 4.30pm and up to just before 9am without incurring a charge. The store has confirmed to Ruth that the signage around the car park will be changed. ← What’s happening with Brexit?